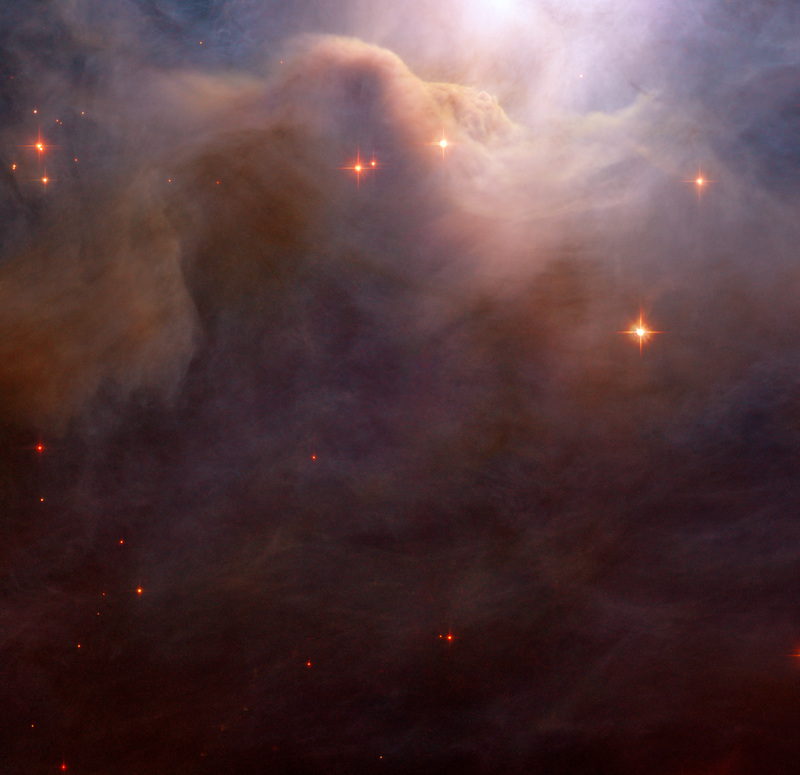 This close-up of an area in the northwest region of the large Iris Nebula seems to be clogged with cosmic dust. 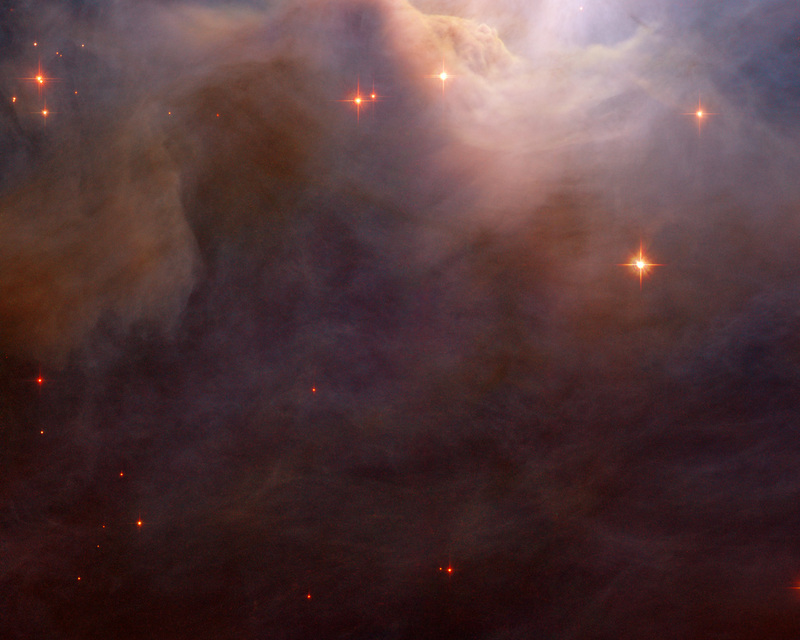 With bright light from the nearby star HD 200775 illuminating it, from above in this view, the dust resembles thick mounds of billowing cotton. It is actually made up of tiny particles of solid matter, with sizes from ten to a hundred times smaller than those of the dust grains we find at home. Both background and foreground stars are dotted throughout the image. Researchers studying the object are particularly interested in the region to the left and slightly above centre in the image, where dusty filaments appear redder than is expected.